Most tourist hot spots lie along the bountiful Queensland coastline, but there is a wealth to discover by venturing west, away from the beach. Central Queensland makes for a memorable trip, in which you’ll have diverse opportunities to experience an authentically Australian landscape. Central Queensland may not be as famous as its tropical counterpart, but the outback is full of diverse treasures, both natural and cultural. On your journey, you’ll come across sweeping desert plains, deeply carved gorges and livestock stations - all of which make for a genuine outback experience. Queensland’s outback offers a cast of characters you’ll never forget. Living in one of Australia’s most sparsely populated regions means the locals are equipped with a story or two and, when the tourists trundle through town, the local people want to share their knowledge. One of the most unique experiences you’ll have could be foraging for dinosaur bones. The area between Winton, Richmond and Hughenden is rich with ancient discoveries dating back 20-million odd years. Wind the clock right back and dig up a dinosaur bone or two. The best way to experience the Queensland outback is by pitching a tent or taking to a caravan and camping beneath the stars. The magic of this way of travel makes itself clear when the stars come out; in the pitch darkness, away from the city, you’ll be treated to a sweep of stars stretching overhead. It is generally safe to drive through the desert, but taking some precautions is always wise. Ensure your vehicle is packed with plenty of water, a GPS, and inform someone of your travel plans. Experience the outback as it’s meant to be experienced by pitching a tent. 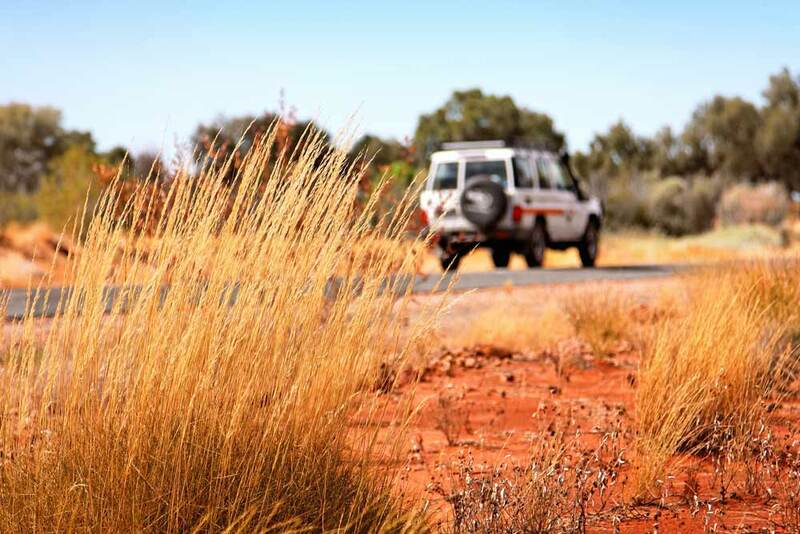 Staying in the desert is an experience like no other; during the day, you’ll be surrounded by an arid landscape of red sands, dry shrubbery and some unique Australian fauna. And when night falls, you’ll be treated to an endless stretch of pitch black sky scattered with countless stars - a sight you’ll only see in some of the most isolated areas of this world.